Welcome to Cullens, your local family run company providing House Clearance services, End of Tenancy Cleaning services, and Probate Contents Valuation services across London and Surrey. Our House Clearance London and Surrey crews can clear pretty much anything from pretty much anywhere, from furniture and electrical appliances, to refurbishment waste and garden refuse, to large fixtures and fittings. We can clear items from anywhere inside or outside of your property. Choose Cullens today for a trusted, reputable House Clearance Service. 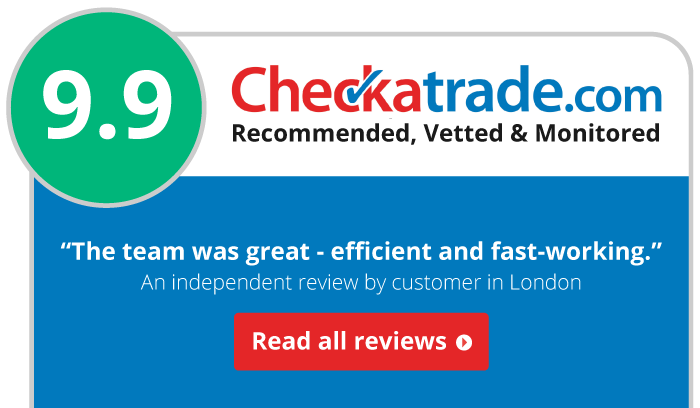 We're backed by Checkatrade approval by Recommended, Vetted, and Monitored, where previous customers have given our service an excellent rating of 9.9. Choose Cullens House Clearance Service today. We're here to help so if you need to chat to one of our team about our House Clearance London and Surrey services do not hesitate to get in touch by either calling us on 0800 033 7930, or emailing us on info@cullensclearances.co.uk. Cullens is much more than just a House Clearance service, our team include clearance, cleaning, and probate specialists across London and Surrey. We cater for a full range of clearance, cleaning, and probate services. Our End of Tenancy Cleaning teams can bring your property back to life. Our teams are hard working, trained, and experienced services professionals. Ideal for end of tenancy services for tenants, landlords, and agents. We can clean all types of residential property. Our experienced Probate Contents Valuation specialists can value the contents on an estate for HMRC inheritance tax purposes, and structured for form IHT407. An affordable and professional probate contents valuation service by trusted experts. Cullens was setup by Derrick back in 2012 to change the face of the industry that he had been working in. House clearance services were plagued with fly tipping rogues, cowboys, and dodgy dealing. With the help of the Bright Ideas Trust charity, setup by Tim Campbell MBE and supported by Margaret Mountford (BBC The Apprentice), Derrick was able to get the ball rolling on his idea to transform the House Clearance service. In the years since, Cullens has grown to be one of the leading Clearance Companies in London and Surrey. Helping to provide a house clearance service in London and Surrey that is reputable, affordable, and trusted. As seen on TV, our team was lucky enough to be the focus of an episode of Drew Pritchard's Salvage Hunters on Quest TV. Derrick showed Drew some of the great things that his team have saved from landfill. Ensuring that as much is diverted from landfill as possible. 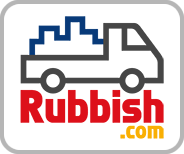 Our reputation is important to us, that’s why we are recommended, vetted, and monitored by Checkatrade; a Registered Waste Carrier with the Environment Agency, hold Public Liability Insurance, and are supported by the Bright Ideas Trust.